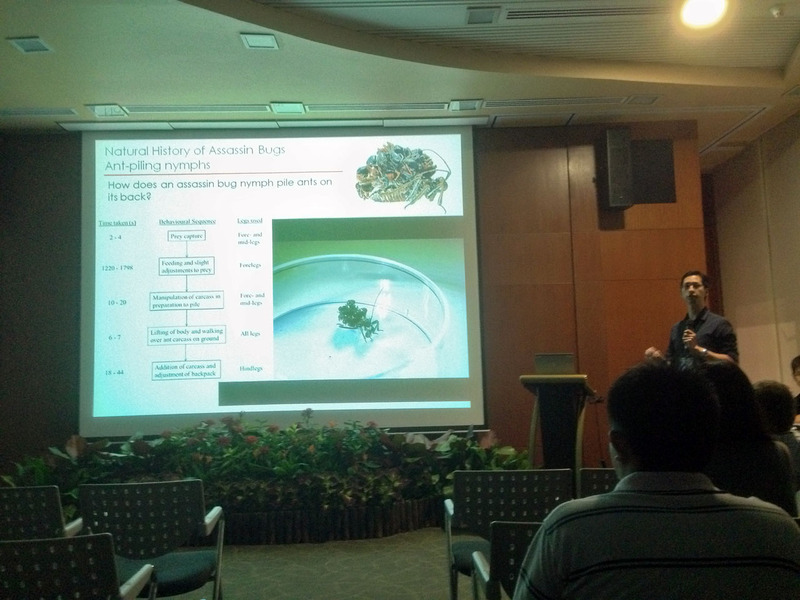 LKCNHM museum officer, Hwang Wei Song, gave a talk at the Biodiversity Research Symposium 2014 organised by NParks at the Singapore Botanic Gardens’ Botany Centre. 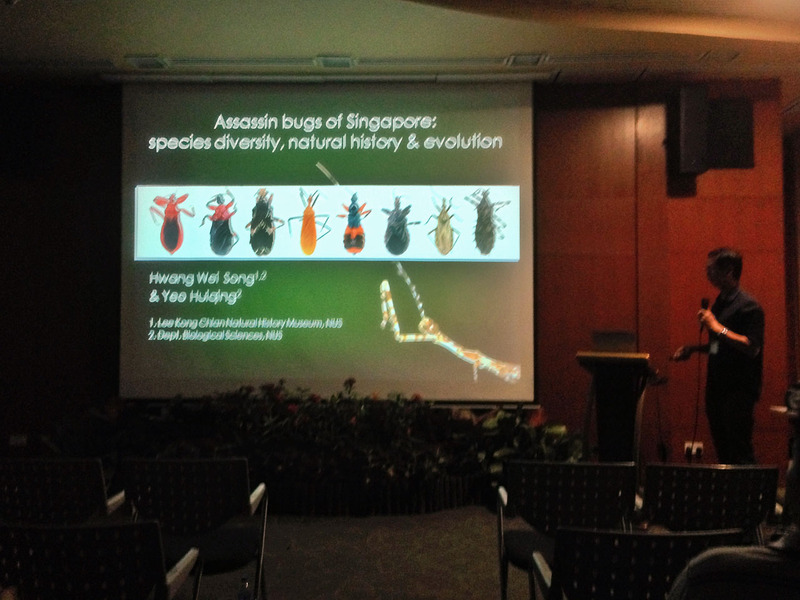 Wei Song spoke about the assassin bug (Reduviidae) research conducted by his students and himself on the diversity of this insect family in Singapore, as well as their natural history. Preliminary assessment shows a wide diversity of assassin bugs in Singapore and opens up the opportunity for study of their interactions with the environment and evolutionary history. A particularly interesting behaviour that fascinated the audience was how some assassin bug nymphs (e.g., Acanthaspis) pile the carcasses of ants that they have consumed onto their backs as camouflage. The short talk left us wanting to know more about assassin bugs, and we would certainly be hearing more about the exciting findings of the assassin bug research in the coming months.